Starbuck is quite different from 99% of the comedies that come out from Quebec these days, in that it’s taken the unusual step of actually being funny. It’s the story of David Wozniak, a loveable, debt-ridden loser that discovers that a series of visits to the sperm bank 20 years ago has resulted in him being the father to 533 children. Oh movies, is there anything you can’t make fun of? 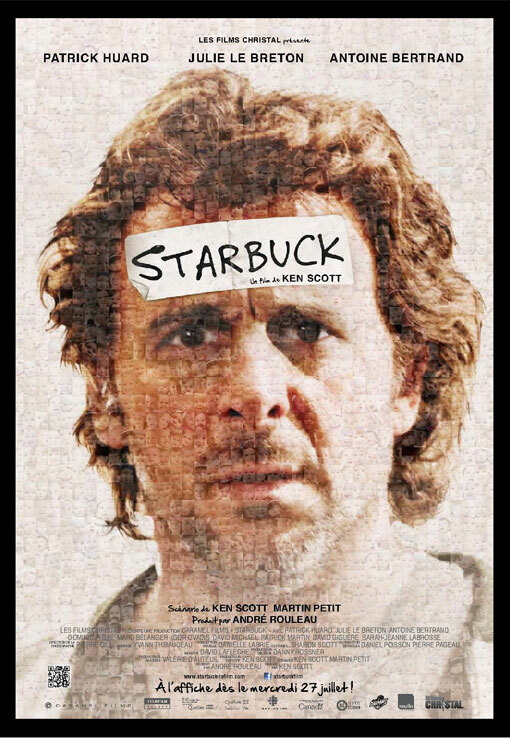 On the surface, Starbuck is a paint-by-numbers formula story: Person with character flaws undergoes wacky series of misfortunes, learns a valuable lesson as a result, and by the end of the film every problem he/she has ever had gets magically resolved. But when you dig deeper, you’ll find that….no, wait….on second thought that’s exactly what Starbuck is. It’s a fun, generic formula movie that will definitely give you a few belly laughs, and make you happy not to have to think too hard for a few hours. It’s a little broader and farcical than I usually like my comedies to be, and it really goes out of its way to avoid really discussing any of the real life implications of such an unusual concept, but it’s worth your time if you like big budget Hollywood comedies a) that don’t have a big budget, b) aren’t filmed in Hollywood, and c) where everybody speaks french. If the only Swedish films you’ve seen feature child vampires, human personifications of death with a penchant for table top strategy games, or girls that sport fictional monster body art, it’s time to rectify that right now. It’s the story of a group of young, black Swedish kids who go around targeting and bullying younger boys. The bullies M.O. usually consist of mind games and lies, and usually end up with the younger, whiter kids getting their cell phones stolen. There is a lot to admire about this film, both from a technical standpoint as well as from a matter of narrative. From a visual perspective, Play is one of the most exciting films you could hope to see this year. Ostlund’s specialty is extremely long, wide, stationary takes. He sets up his camera to focus on the locations where his stories take place, but rather than follow his actors around with his lens, he has them drift in and out of frame, depending on where the scripts takes them. It’s an unsettling technique, but one that enhances the realist, voyeuristic nature of the piece. And then there is the story itself. In his very simple story about a gang of bullies, Ostlund raises questions that don’t seem to have easy answers. Racism, economic disparity, and immigrant assimilation are serious problems that aren’t going to be solved by a two-hour movie. But they’re subjects that need to be discussed, and Ostlund shows multiple sides of complicated issues admirably. Play is a bold and provocative film. It tackles uncomfortable subjects with style and diplomacy, but also happens to be entertaining and watchable. Highly recommended. This entry was posted in Movies and tagged Movies, Play, Starbuck, VIFF. Bookmark the permalink.